This represents 280 simultaneous visitors to this site. WOW! I seen your map widget and added one to my own little blog a week or so ago, but now, the trick is to get people to visit it and fill it up. Hmmmm, If I had to live on a dollar for each visit listed on my map I'm going to starve to death soon! But then again, my blog is only a practice blog. Someday, maybe, when I get the time to really think about what I'm doing and and have the time edit it, I will get serious and do a real one? In the meantime, I always have FiXYOURTHINKING and Tom's Reston's, The Small Wave to read and learn from. Thanks for your blog... its must 'blog' reading for me. I was on one day and the only other person was flagged up as being in Cupertino!!! It's a neat little widget - the idea is similar to the Frappr map from Google http://www.frappr.com/ though no need for your readers to actually register. So you can actually claim to being read all around the world. Roget ... the FAQ @ amung.us says that sometimes the "current" reader may not be able to see their selves ... sometimes I see me and sometimes I don't. I always see my best friend on if he's on across town. I can also see my girl friend online in a nearby town. http://www.pollhost.com, offers a widget that I would love to see used here on Fixyourthinking, and later on, maybe on my own blog, but I really don't have the traffic to warrant it, not quite yet anyway, even though my blog is slowly beginning to grow. Pollhost allows blogs and other web sites to include 'instant polls' and works great. I discovered it, by accident, being used on another blog. You create the questions and your readers simply enter their choice. Professional looking and a lot of fun! Hope to see it here someday, and a little later on my own. Roget ... I think the map is currently not working and just showing my weekly peak. Roget ... I decided to change it until it's running properly. There are two modes. Popularity & Normal ... right now the mode default is "Popularity" due to the increased traffic this widget is getting ... a coupla days ago it was on DIGG. I've actually gotten a number of hits from people apparently looking to see it in action on my site. I don't know what else to attribute a huge surge in my traffic to this site to. "I don't know what else to attribute a huge surge in my traffic to this site to." I really like this widget, but I have also found two more interesting blog widgets. One is clustermaps.com which is basically the same as 'amongus maps' but gives you more detail when you click onto it. It also has even more analytic tools, but for a small price. If you look at my 'blogrush widget' (I have 3 running) you will notice that it contains many other blogs similar to mine. Every time someone clicks on one of the advertised blogs, they go there, and I (or you) will get credit. These credits will get your blog advertised more frequently on thousands of other blogs, the more credits you earn. However, just don't click any advertised blog on your widget. It will take credit from you. Only other people may click on your widget. As far as 'amongus' map widget is concerned, yesterday it was undergoing a major 'site update.' I thought, like you, something was wrong, but it wasn't. That is why I added the clustermap widget, but I didn't need it after all! 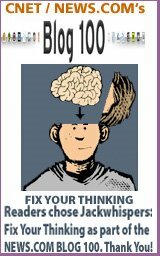 As of only two blogs that I read every day, almost religiously, Fixyourthinking and The Small Wave, I would like to see advertised on blogrush.... their just so damn good, the more people who read them, the better! Also, each dot location, when you hover your mouse over it, will show you how many people have visited from that particular location. For example: If you hover over Halifax, Nova Scotia, you will see that 2 visitors have visited. Just a second or so ago, I noticed that you had new visitors from Britain, 2 from the States, one from Canada (me!) and one active from Joensuu, Finland as indicated by the glowing or pulsating dot. Whoops... I just tried to move my 'amungus map' widget, but some how, through fatigue or just plain stupitiy, I don't know, but I must have pressed the 'delete' instead of 'save' button, because it is now gone and so I had to reinstalled it! I was thinking, one could always install three map widgets, one for the collective totals; one for weekly and one for the monthly. Yes, one would have to delete and reinstall both the weekly and the monthy map widget each week and each month respectfully, but you would have a more up-to-the-minute view of your map traffic on a weekly, monthly and collective basis. PS. The cluster map widget is slow.. it takes 24 hours or more to update. Not only that, but before I accidentally deleted the better 'amungus' map widget, clustermap only picked up one new location. Amungus picked it up (Spain) and several others such as Atlanta, Ga; Singapore and another in Europe that I can't recall?